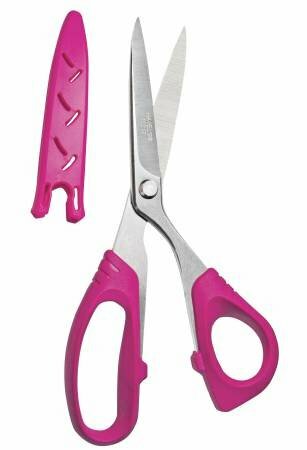 Notions > Havel's Serrated Fabric Scissors-8"
Silky smooth, precise cutting. Ideal for Dressmaking, Dollmaking, Quilting and Sewing. This 8in blade has fine teeth serrated blade. Double ground blade makes every cut sharp and clean. Can cut multiple layers of fabric. Blades are high quality stainless steel. Includes blade cover.